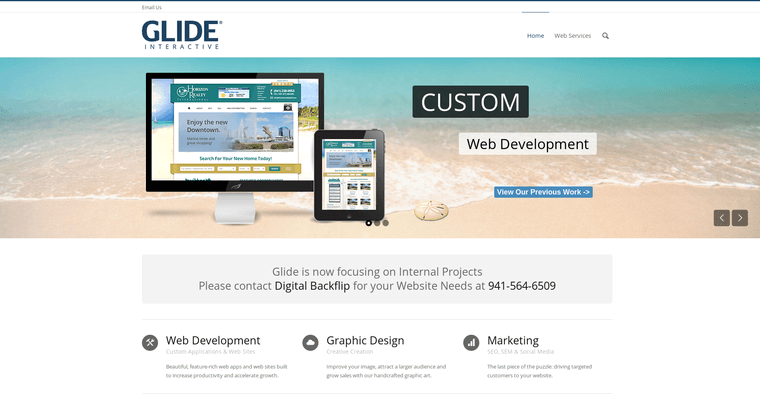 Glide Interactive is an inventive web design firm that provides product development, digital strategy, graphic design, and branding. The company specializes in creating brands that are the digital front runners in their respective line of business. 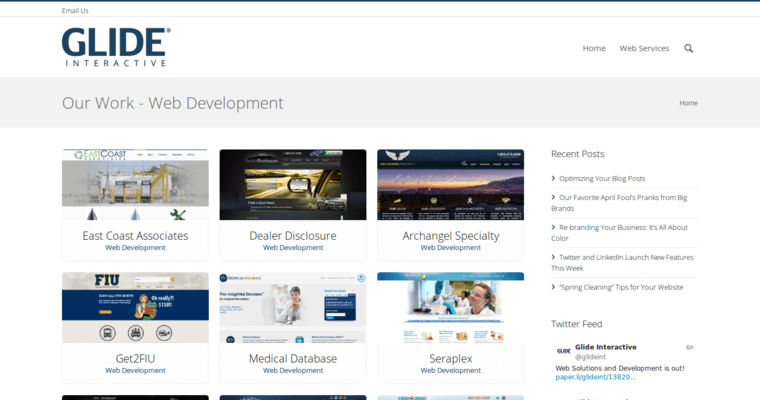 Glide Interactive offers several core services such as web design and development, mobile app design and development, print design, logo design, packaging design and custom QR codes. 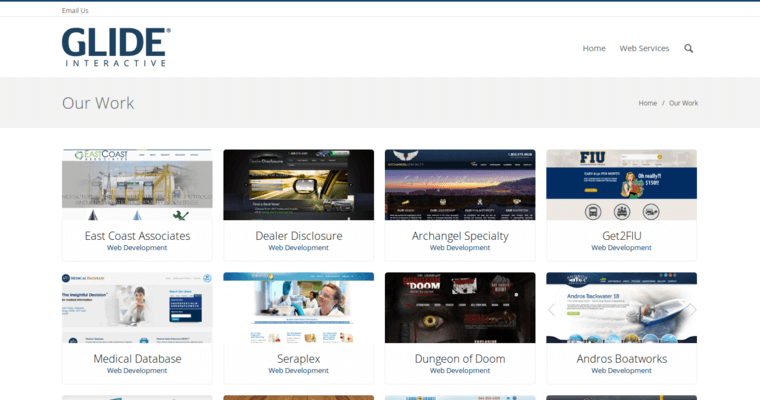 The company also offers email marketing, social media marketing and pay-per-click campaigns to maximize a client's return on their advertising expense.